Test today, you might be one of the lucky winners tomorrow! The previous versions have been completely revised and greatly expanded. 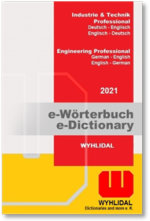 WYHLIDAL specialist e-dictionaries support you with comprehensive and up-to-date terminology, helping you to save valuable time and precious nerves. 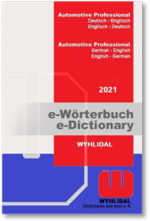 The WYHLIDAL 2018 edition has just come on the market.